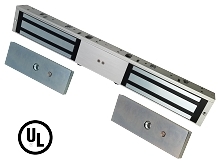 We carry a wide range of magnetic door locks depending on your access control needs. 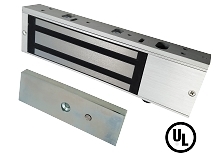 We have electromagnetic locks with 300lb of strength for an inside door up to a strong 1200 lb magnetic lock typically used for an exit door. 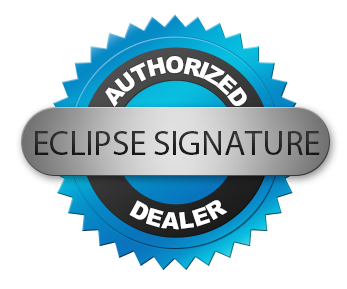 We also carry dual maglocks. 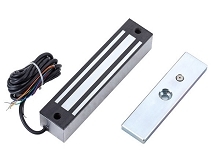 Whichever electric lock you choose, all of them are compatible with our Access Control Readers and Control Panels. 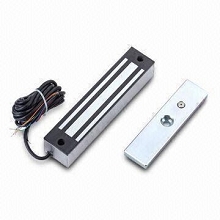 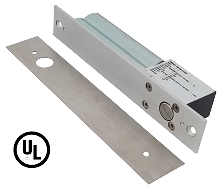 This electrically activated magnetic lock operates on 12 or 24 volts DC. 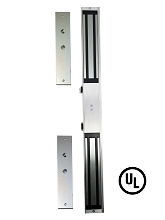 These aluminum brackets are predrilled and designed for use with our 300lb magnetic locks, the ECL-ACC150 series.